Back for its third season at Ibiza’s iconic club Amnesia for a host of memorable Tuesday nights, Together guarantees to showcase the very best of this year’s electronic dance acts. ‘Together Ibiza 2013’ showcases an essential selection of tracks reflecting the different sounds and headline artists performing this season. 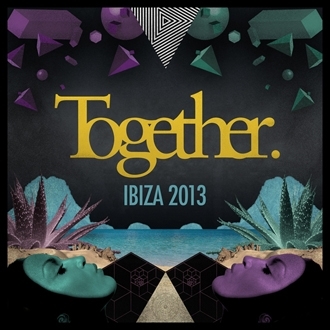 Mixing up the genres with ease, ‘Together Ibiza 2013’ provides this year’s crucial soundtrack. Together kicks off the season’s parties in style with a host of resident DJ’s from the darker side of dance including Chase & Status, Feed Me, Knife Party, Nero, Pendulum and Sub Focus as well as label hosted nights from ‘Speaker Box’ and Afrojack’s ‘Jacked’. Showcasing a mixture of electro, house and bass driven music in a total of fifteen events, Together brings a range of special guests and debut performances from a variety of diverse DJs and producers with killer sets promised from Eats Everything, Skrillex, Gorgon City, Sidney Samson, Pegboard Nerds, Major Lazer, Netsky and Dillon Francis, live performances from Katy B, Magnetic Man and Tinie Tempah, whilst trance legend Sander Van Doorn, techno star Boys Noize, and Swedish sensation Alesso all make their Together debuts. ‘Together Ibiza 2013‘ combines new tunes & exclusives alongside the biggest tracks from this year’s listings introducing new house favourites from Gorgon City, Ben Pearce & Eats Everything alongside progressive summer anthems from Pryda & Hardwell. 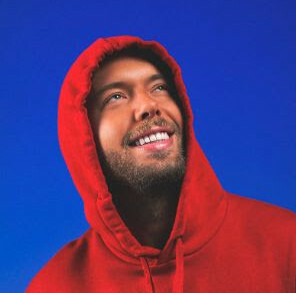 Bass heavy gems appear courtesy of Dillon Francis, Friction & Pegboard Nerds, while drum & bass anthems come from the likes of Wilkinson, Metrik & Kove. The compilation features 48 of the best tracks and 2 full length DJ mixes allowing you to relive what promises to be Together’s biggest summer season to date with ‘Together Ibiza 2013’.